When Light Yagami sees a small black notebook falling past his window, he has no idea that he is about to not only dramatically change his own life, but the whole world as well. In a matter of hours, he discovers the powers the notebook holds... and the games begin. The Death Note anime series is a psychological thriller that examines the dark themes of death and morality. 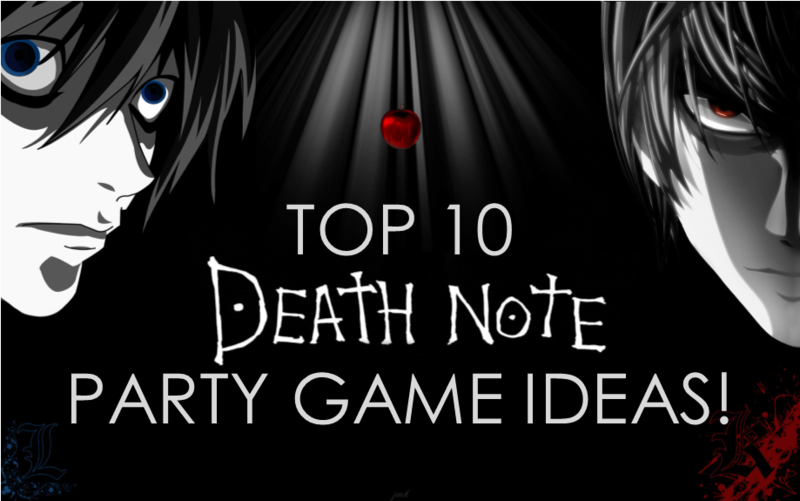 If your teenager is a fan of the series, throw them a Death Note-themed party with these ten games and activities associated with the show. The rivalry between L and Light is one of the most memorable parts of the Death Note series. 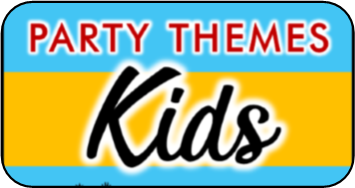 For this game, secretly assign each party guest either to 'Team L' or 'Team Light'. Each team should have an equal number of participants. Since the teams are assigned secretly, no one will know their own teammates. The party guests will have a few minutes to talk to each other and try to figure out who belongs to which team. When the timer goes off, everyone must write the name of someone they think is on their rival team. The person with the most votes is eliminated. The game ends when one team successfully eliminates all members of the other team. If the game ends with two players on opposite teams, have all of the eliminated guests vote as a tiebreaker. Sakura TV is infamous for being a ridiculous tabloid channel. Have all of the guests pair up and write a script for the craziest Sakura TV broadcast they can think of. It could be anything from an interview with someone who was "abducted by aliens", or two reporters talking about the latest ridiculous celebrity gossip. Have each duo present their broadcasts to the rest of the group, and award prizes for the most far-fetched and the funniest stories. The Yotsuba Group has control of the Death Note, and they will do anything to make their company more powerful - even kill. Each party guest represents a member of a rival company targeted by the Yostuba Group. Have all of the guests sit in a circle, and hand one person a Death Note. As music plays, they will pass the Death Note around the circle, and when the music stops, whoever is holding the book has been killed by the Yotsuba Group. Continue playing until one person remains. The last person standing survives their attack and wins a prize. L is suspicious of Light from the beginning of the investigation. At one point, he is so suspicious that he chains himself to Light so he can monitor his every move. Divide the party guests into pairs and bind their legs together using strips of fabric for a three-legged race. Mark a starting line and a finish line and on your signal, have the guests walk or run as quickly as the can to the finish line. Each duo will need to learn to adapt and work together while "chained" together, like Light and L had to. Whichever pair reach the finish line first win a prize. For this game you will first need to print off pictures of criminals from the Death Note anime series. Next, attach the pictures to a poster board with tacks. Do not glue them down, as the guests will need to be able to remove the pictures to see the back. In this game, each guest plays as Kira. The first guest will pick a criminal off the board to "kill" with their Death Note. If the back of the criminal's photo says 'Safe', they have gotten away with the crime and continue to play. If it says 'Caught', they have been caught by the Investigation Team, and are out. The last guest to remain 'safe' wins a prize. Light needs an alibi, so he needs to temporarily get rid of his Death Note. But he needs to hide it well - somewhere that no one else will find it accidentally. 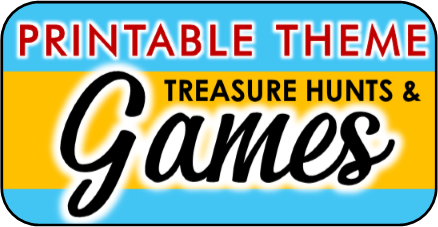 For this game, split the party guests into two teams - the 'hiders', and the 'finders'. First, the 'hiders' will have a set amount of time to hide one Death Note each. They can work together to think of hiding spots, but each Death Note needs to be hidden in a different spot. Next, the 'finders' will have a set amount of time to explore and find each of the hidden Death Notes. If all of the Death Notes are found, the 'finders' win, but if even one book isn't discovered, the 'hiders' win. Play at least two rounds, so each guest gets to play both roles. Light has his work cut out for him in the beginning of the series - he has to stay on top of his studies, while also staying on top of the Kira investigation and working to defeat L. Before the party, prepare a few dozen general-knowledge trivia questions. Split the party guests into teams and in turn, ask each team a trivia question. The goal of this game is to master the balance between studying hard and beating L in the investigation. For every correct answer, the team will receive one letter of L's real name (L Lawliet). The first team to collect all the letters defeats L and wins the game. Apples in the Shinigami realm are shriveled and unappetizing, so Ryuk quickly becomes obsessed with the juicy apples of the human world. In this game, each guest will play a Shinigami desperate for an apple. First, have each guest write down a few different 'dares' on pieces of paper. They can be serious, like having to tell a secret, or silly, like having to hop on one foot for one minute straight. Each guest will take turns pulling a dare from a hat. If they successfully complete the dare, they earn one apple from the human realm (worth 2 points). If they refuse the dare, or cannot complete it in time, they receive a shriveled apple from the Shinigami realm (worth -1 point). When all of the dares have been chosen, tally up the points. The person with the most points wins a prize. Sorting out the truth amidst a web of lies is the near-impossible job of every detective on the Kira case. For this game, each guest must first think of two facts about themselves that are true, then come up with one lie. The lie should be one that sounds like it could be true. In pairs, each guest will share their two truths and a lie with their partner. The partner will try to successfully guess which fact is the lie. If they guess correctly, they move on to the next round. If they guess incorrectly, they are out. Everyone who guesses correctly is matched with a new partner, and must think of two new truths and a lie to share. At the end of the game, the person who successfully uncovered the most lies wins a prize, and the title of head detective of the Kira case. Only those who have touched a Death Note can see the Shinigami attached to it. Light's Shinigami, Ryuk, can speak to Light in public, but Light must not talk back or react if he's in front of people, otherwise he will look crazy! For this game, choose one guest to play Light. Each of the other guests will play Ryuk and will have one chance each to make Light laugh or react in some way. Whoever successfully makes Light laugh or react becomes the new Light. To cause a reaction, the guests can say something funny, do something silly, or do anything else they can think of, as long as they do not physically touch or tickle.